The Odo table by NAB Design is inspired by the dragonfly. 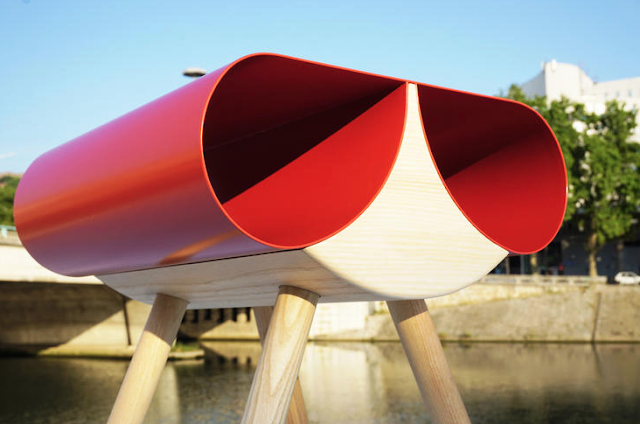 The lighthearted pedestal table is made of sheet steel and powder coated ash. 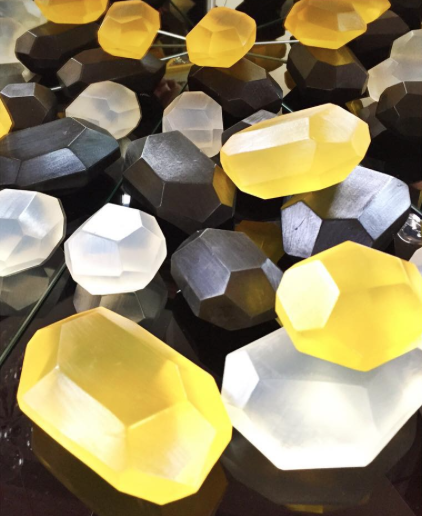 We came across these gem-like, handcrafted glycerine soaps on Instagram and were instantly drawn by their luminous quality. Made by design firm Pelle, the Soap Stones are made from all-natural, vegetable-based ingredients, plus essential oils like eucalyptus and camphor, and hand-cut in their Brooklyn studio. The palette is inspired by nature and naturally occurring gemstones and rocks such as Rose Quartz, Aquamarine, Jade and Onyx. The soaps come in three sizes and seven colour combinations, with the occasional seasonal specific special issue. File this under why didn't we think of that? 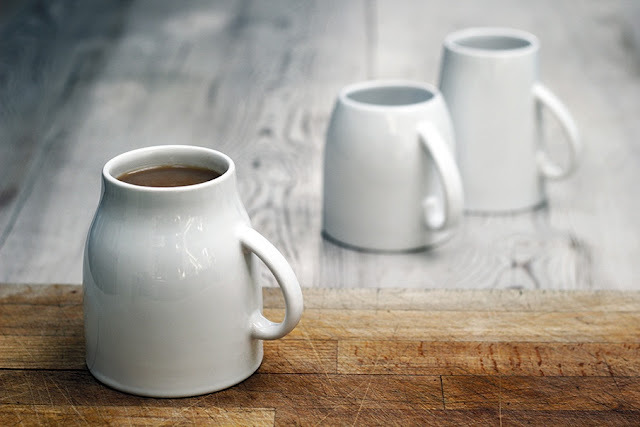 The upside down Mugslexia mugs by designer Henry Franks who suffers from dyslexia, is a simple but effective twist on a design and one that may actually improve on it. Developed because of Franks' dyslexic symptoms, one of which means that some letters appear to be inverted when reading, Franks has made the base of the mug wider than the top, the effect of which is to make it more stable in use. Here is a line of bags on a different plane. 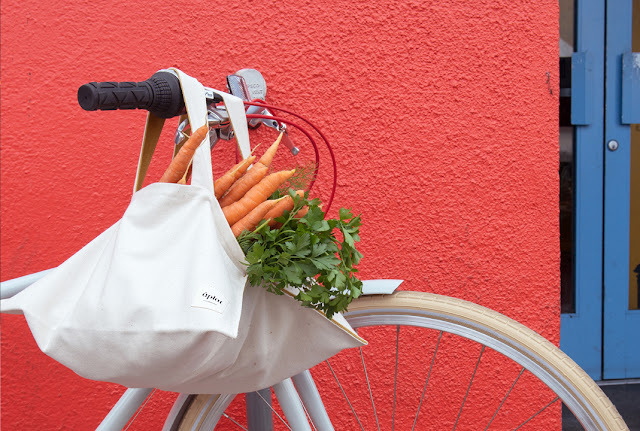 While Àplat totes are inspired by French 'art de vivre' the bags are designed and made in San Francisco from 100% organic cotton and locally-sourced raw denim. Intended for people who care about what they cook, eat, drink the bags are stylish and easy to carry. The namesake à plat tote is an all-purpose carrier, while the à vin tote can be carried either vertically or horizontally over the shoulder and is built to hold one or two bottles safely. The à fleur tote is a bouquet tote and is designed to carry and gift flowers. The bags are washable and reusable. Made in small batches to reduce the waste on raw material they transform the simple act of giving into an elegant experience. We couldn't pass on featuring this quirky, tongue-in-cheek collection for our Mini Mini Style Block. Caroline Bosmans' A/W 2015 collection is called All About the Birds and this influence can be seen in the copious use of feathers and avian prints. 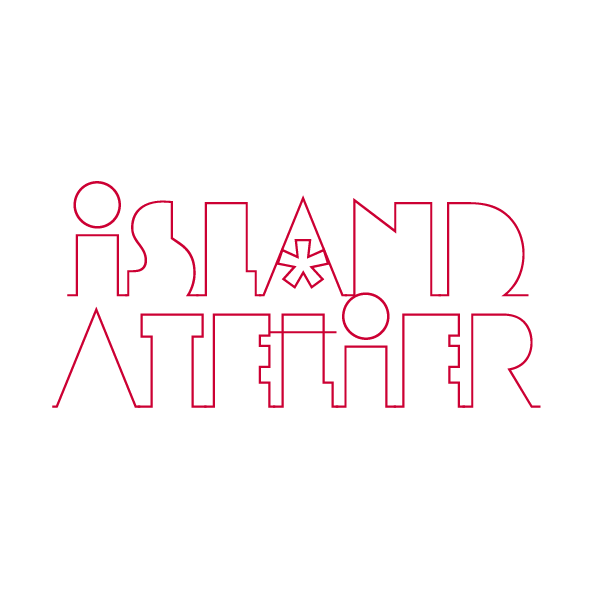 Up next in the Mini Mini Style Block, we wanted to highlight the textural, graphic designs of Belgian Ine de haes. With a preponderance of 3D drapery and knitwear the clean, minimalist clothes are anything but dull and boring. We were hoping to do another Mini Boutique Week - our first since 2011 - but will have to put that off for another time. Until then here's a Mini Mini Style Block starting with Kindish, the recently launched kids' label by Swiss company Stadlandkind. 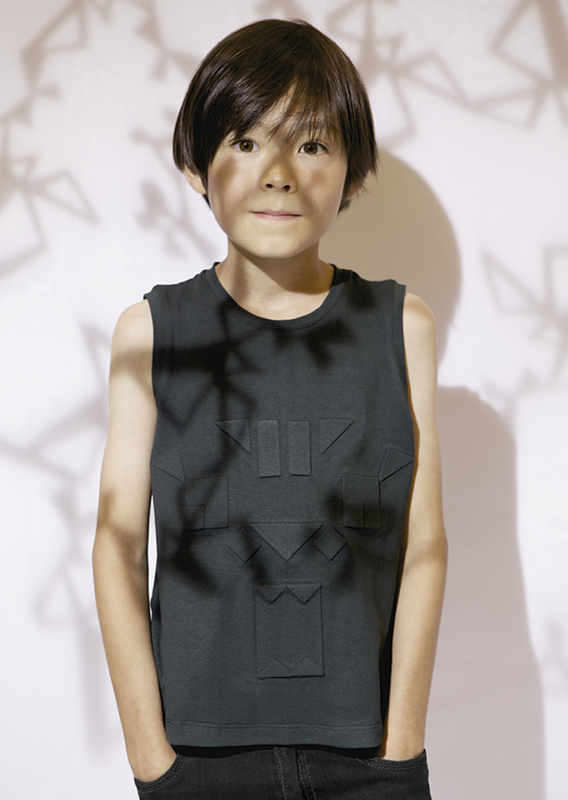 This monochromatic offering is not extravagant by any means but is made up of stylish takes on the clothes children actually wear and want to wear including a number of non-gender specific t-shirts and trousers that are perfect for girls and boys. 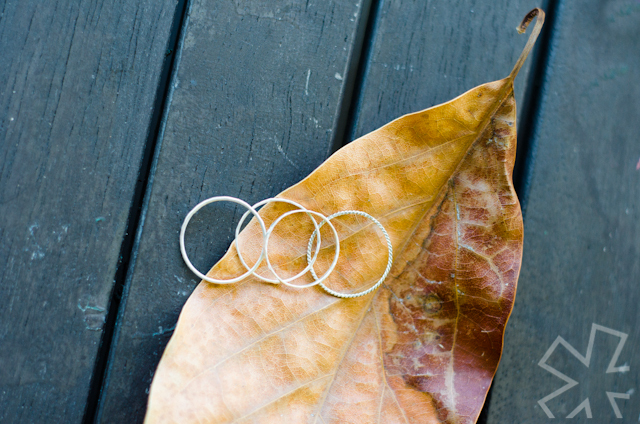 A few weeks ago we had the pleasure of taking part in a stacking rings tutorial given by Bermuda Rocks Jewellery. Intended to teach the fundamentals of jewellery making to the public, owner/teacher Eleanor Patton takes her small class step-by-step through the basics and at the end of you are left with three beautiful rings in varying textures and finishes that you have made yourself making them much more precious and meaningful than any store-bought pieces could ever be. 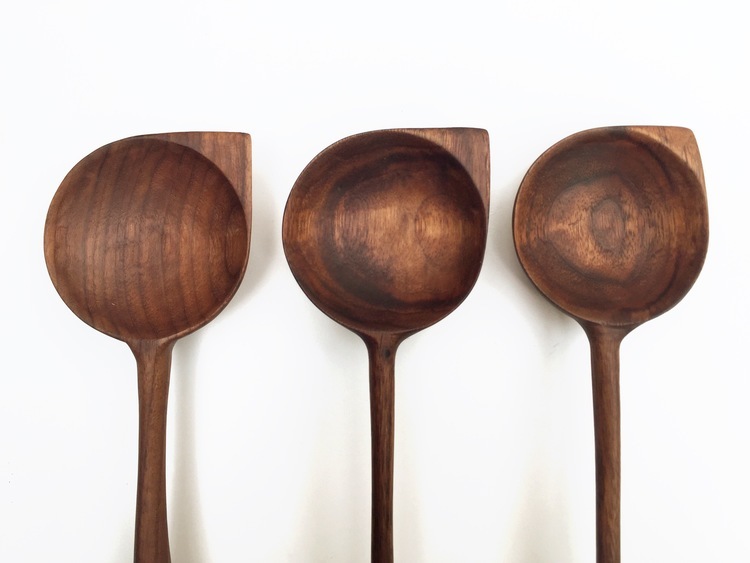 Made for cooking, stirring and serving, we like the look of these circle-within-a-square handmade spoons by Windy Chien. Called the Corner spoons, the point in the design is actually functional as well as being aesthetically pleasing as it ensures that the spoon fits perfectly into the corners of pots or on the flat surface of pans. The spoons come in a variety of sizes and lengths and have ergonomically carved handles which feel good when held. The spoons are made from hand-carved Walnut and each one comes wrapped in a reusable, hand-painted kitchen cloth complete with a jar of organic spoon oil and instructions on care. 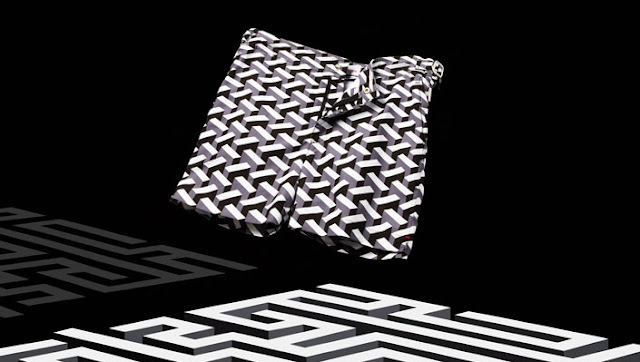 This new, strikingly graphic collection of swim trunks is the result of a collaboration between Orlebar Brown and Italian sculptor and designer Marcello Morandini. Inspired by architecture, the monochromatic capsule collection features four patterns on two styles of swim trunks adapted from Morandini's paintings. The mid-length Bulldog suit comes in Black Struttura and Navy Drawing print, while the shorter length Setter style comes in a Navy Disegno and Black Pannello print. The suits are made from quick-drying polyamide fabric and feature Orlebar Brown's signature finishes including engraved side fasteners. What child doesn't love to go camping? 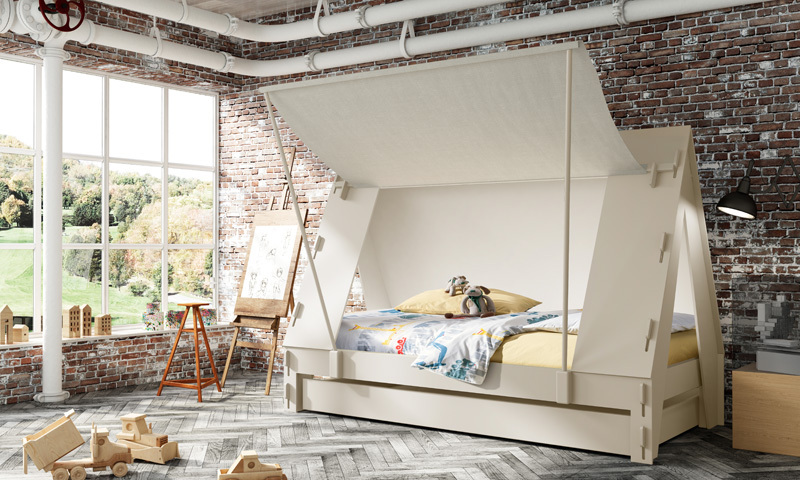 And now you can bring the outdoors indoors every day with these adorable Caravan and Tent beds from Belgian design company Mathy By Bols. 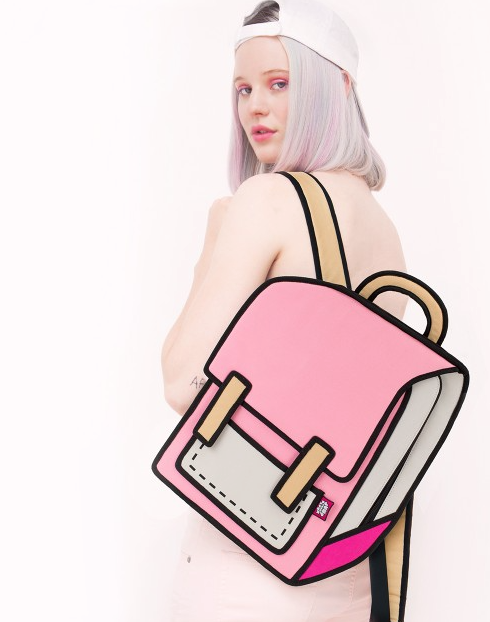 Like a crossover between pop art and fashion, these brightly-coloured, cartoonish bags from JumpFromPaper may look two-dimensional but they are actually fully functioning bags. We love the hatched backrest found on the Twig chair designed by Sayaka Ito of Japanese firm Nendo for Italian furniture brand Alias, a company that specialises in aluminium furniture. As one of five options for the deconstructed, pared down chair (you can see the reverse progression after the jump) it is made up of four branch-like aluminium supports and a seat. 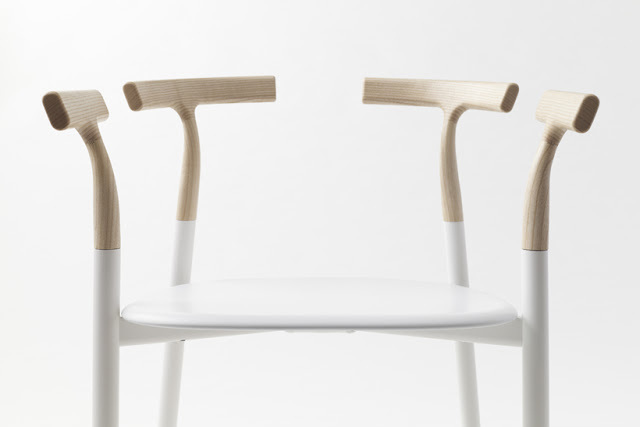 While overall the shape of the chair is consistent, slight variations can be made in the shape, colours and materials used on the upper portion with the addition of various connectors and backrests. Choices for seat material include wood, plastic and fabric while the backrests are made of transparent lacquered solid ash wood. The Breakfast Collection by Nina+Co is a range of ceramic tableware that celebrates the most important meal of the day. 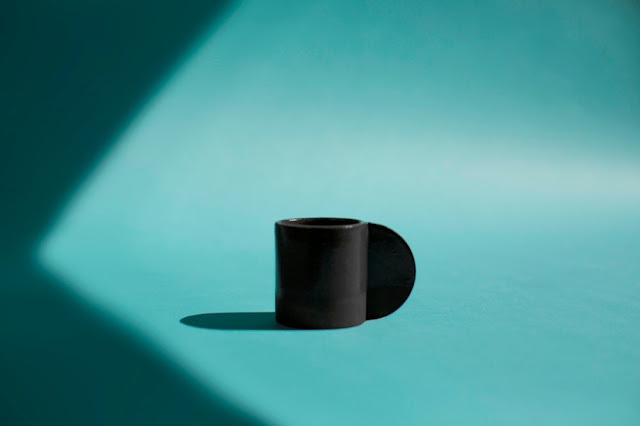 Simplicity of shape and origin are key principles in the design of the collection and the pieces are designed and made in London from responsibly sourced materials. The Breakfast Collection will be available for purchase later this month. 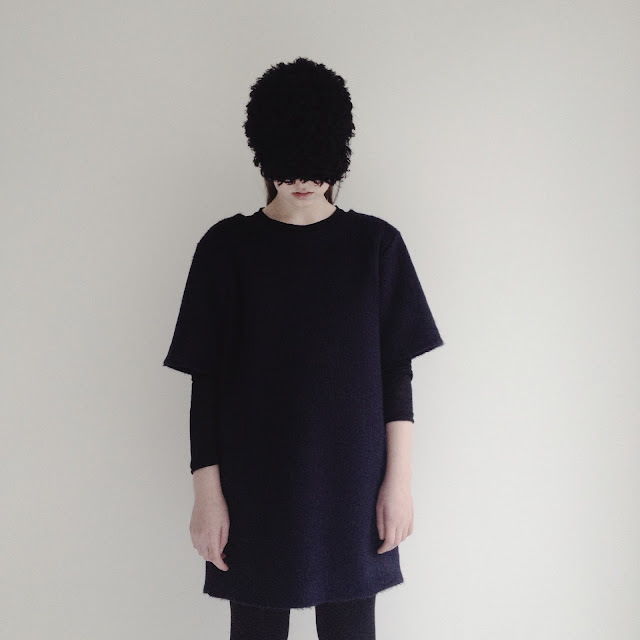 We've been long time proponents of simple, minimalistic clothes for kids, so the 'DemiCouture' branch of Lithuanian label Mummymoon falls right within our wheelhouse. 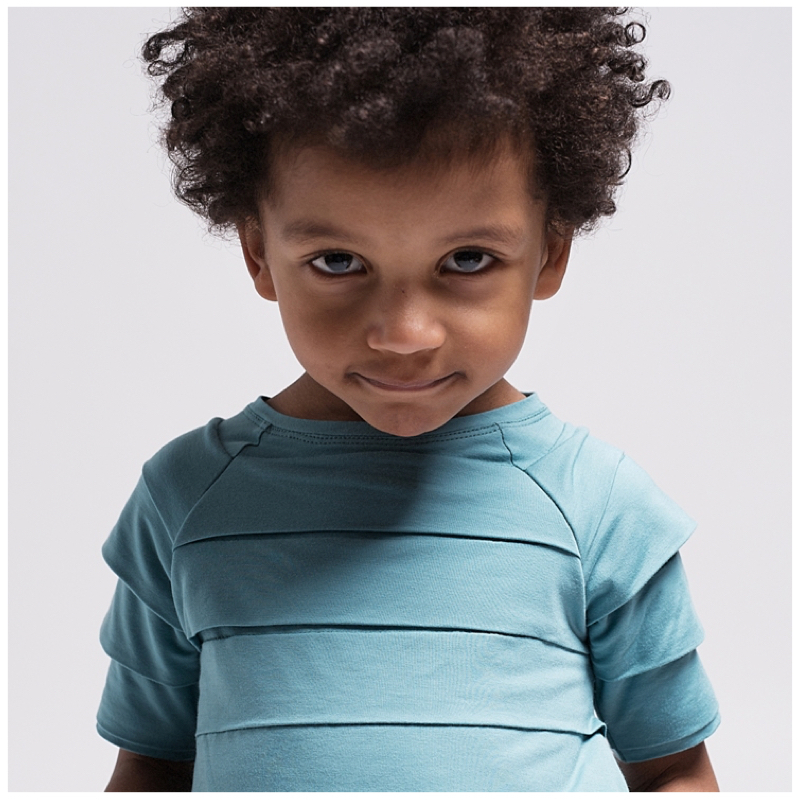 They offer distinctive, minimalistic handcrafted clothing with timeless style for children aged from 6 months to 14 years. Brazilian shoe company Melissa has released its first resort collection featuring comfortable yet stylish slides and sandals in a variety of colours in collaboration with Jason Wu and the Campana Brothers with whom they have previously worked. The collection will be available in late October.